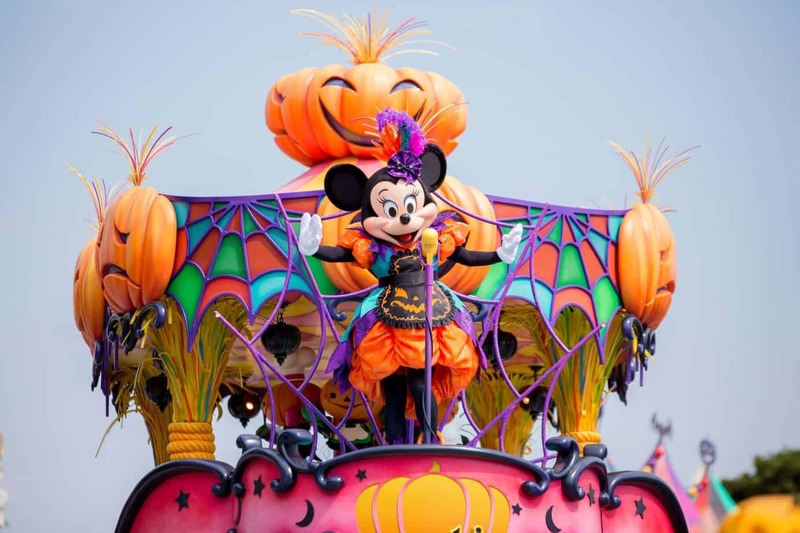 Tokyo Disneyland offers an array of world-class entertainment options ranging from daytime parades to nighttime spectaculars. 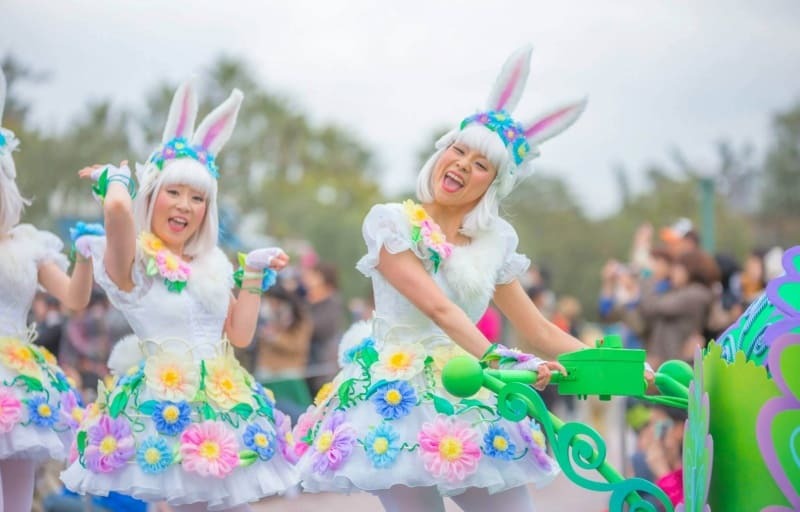 Tokyo is known for their high quality costumes, floats, music, and dancers – all of which changes more often compared to the other Disney Parks. These shows go above and beyond to entertain guests. Questions that come up are “What shows should we watch?” or “Where is the best spot to snap that perfect photo of Olaf in the Frozen Fantasy parade?”. Thankfully, this guide answers these very questions! A full up-to-date list of entertainment is on the official website. The best spot for photography with Cinderella Castle in view is right beside the Partner Statue in the hub. If you are right up against the railing you can see above the people sitting, along with looking over the press photographers (if they are present during press days). This is one of three spots where the show stops (more on that below) for certain parades. This is a well-known spot, so expect people to have claimed spots 2-3 hours before a show (depends on weather of course). At the very latest, show up an hour before. For other spots along the parade route, it is hard to get a bad spot. Since a majority of spots you are required to sit. The sitting areas do fill up, so claim your spot anywhere along the route an hour before show time at the very least. Sometimes you can luck out if the crowds are thinner or the weather is not ideal and get a good spot 30 mins earlier. If you’re looking for that “perfect” character photo, then you’ll want to head to Toontown. This last stretch has bushes on the one side, which forces all the characters to face one direction (towards your camera). Again, this is a well-known spot so expect a lot of photographers there to snap that perfect photo. If your main purpose is to take photos, there are standing areas behind people sitting. Look for a group of standing people with their best cameras out. As for the other show such as stage, if you show up 30 minutes before show time you can score a decent spot. Any shorter and you risk the show being full. During inclement weather (typically rain), many of the shows have “alternate” versions. This way guests can still enjoy a form of entertainment, no matter the weather. If a show is cancelled for whatever reason, announcements are made in English. For the latest showtimes, grab a park map upon entering the park. Also, guests sit for a majority of the parades, which is different compared to the other Disney parks. Guests will use a plastic sheet (called leisure seats) and claim their spot as they wait for the parade. There are standing areas that exist as well in various locations. 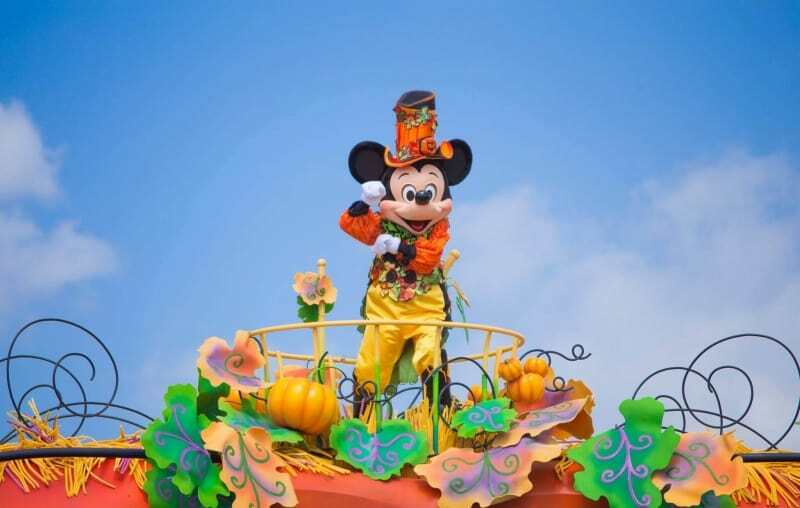 Read more on what to pack when you head to Tokyo Disneyland. The Resort loves to release CDs with the music from the shows. Most parades and show music is available at the resort. Here’s a list of music available to buy online. Typically daytime parades run three times a day. Once in the morning, early afternoon, and late afternoon. The seasonal parade happens twice a day, while Happiness Is Here runs in the early afternoon. This is not always the case, so we highly suggest checking the park schedule on the days you are visiting. Happiness Is Here is a relatively (I use that term loosely) new parade, which was introduced for the 30th Anniversary of Tokyo Disneyland. It features gigantic floats and music that will get stuck in your head for months. This is by far my favourite parade. It holds a special place in my heart, as it was one of the first parades I saw when I first moved to Tokyo. Photo provided by Sidonald on Flickr. 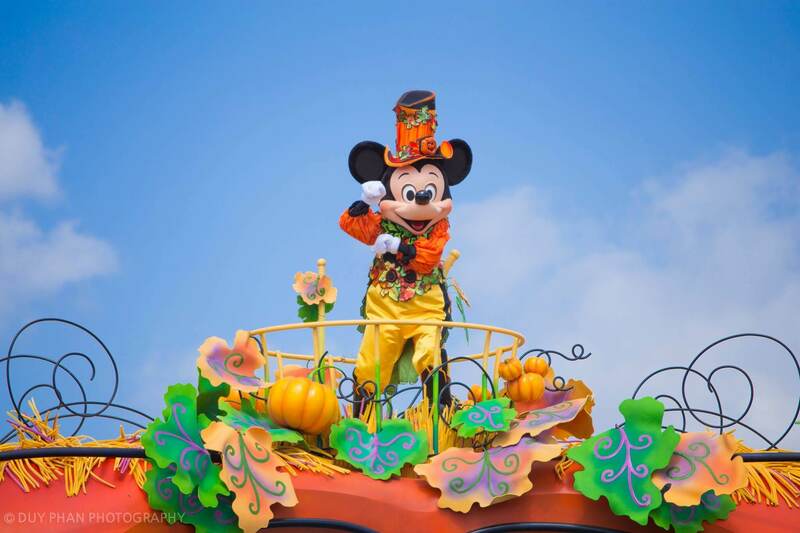 Seasonal parades change when a different event is happening at the park. 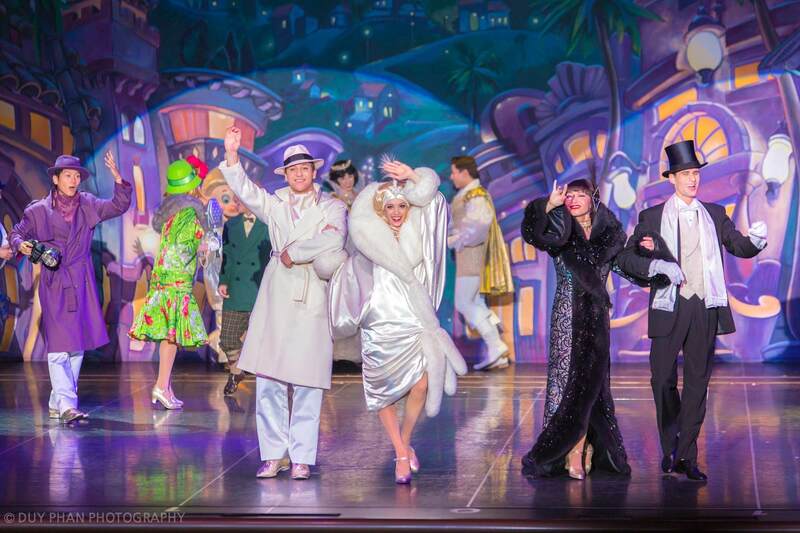 While the theme may not change from year to year, the costumes are updated along with the music. These parades usually have what are called “Show Stops”. 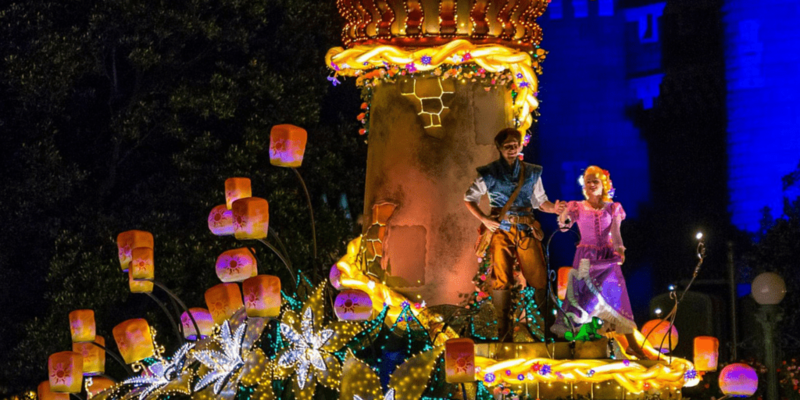 This means the parade will stop along the route and the characters and dancers will continue performing to a slightly different version of the song. This usually includes a little dance that guests may take part in (you can see Cast Members teaching the dance before the show starts). The show stops happen three times along the parade route – in Westernland, in front of the Partner Statue, and between Tomorrowland and Toontown. 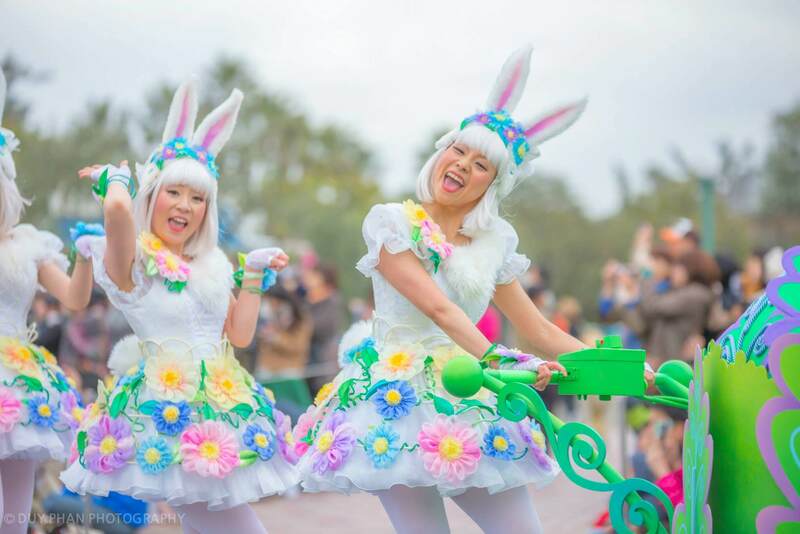 Hippity Hoppity Springtime Parade Dancers! 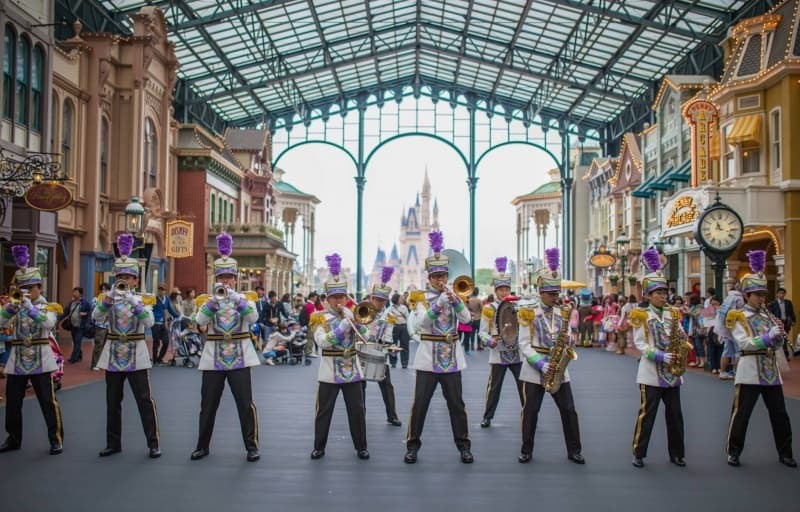 During the summer, the “seasonal parade” is usually a show that is in front of Cinderella Castle and not a typical parade. The floats do come down through the parade route but the heart of the show is in front of Cinderella Castle. 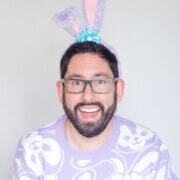 At the time of writing for this guide, Garyo Gunbu is the summertime show. 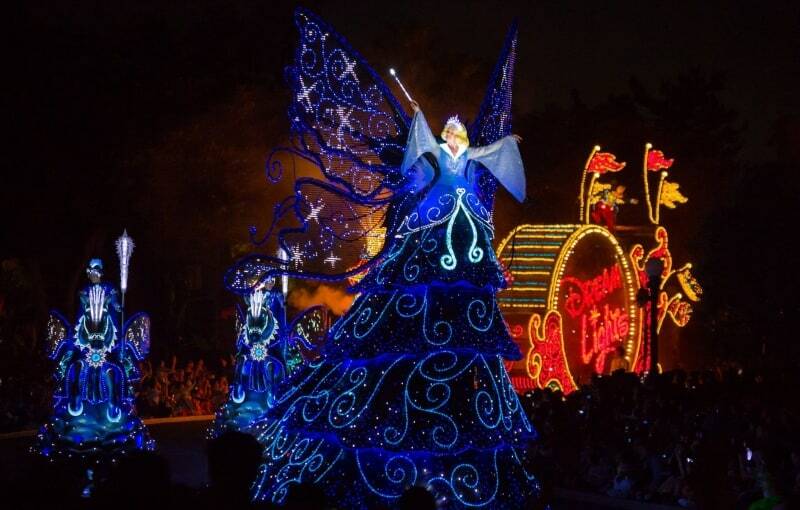 We highly recommend taking the time to see both Happiness Is Here and the seasonal parade. 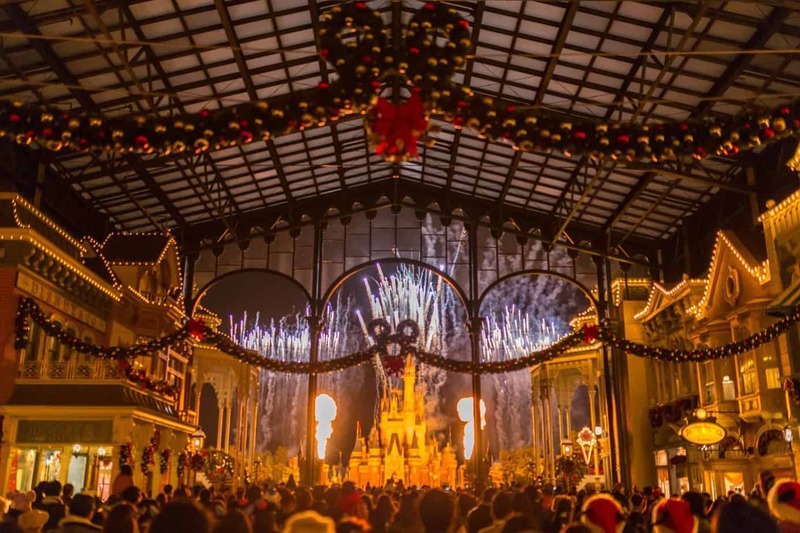 Evenings are not complete with nighttime entertainment and Tokyo Disneyland does not disappoint. 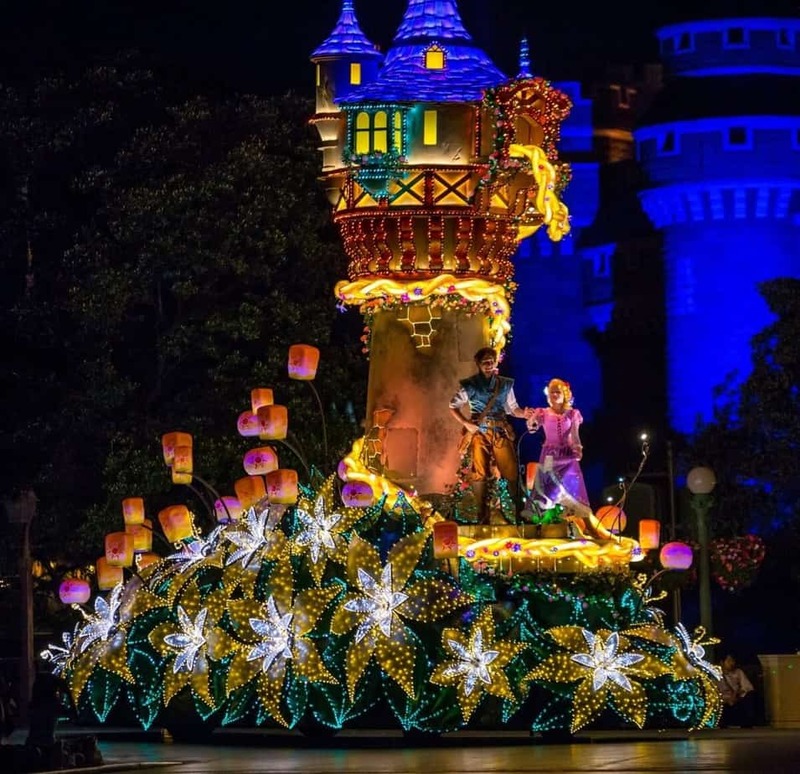 Their crowning jewel of evening entertainment is Tokyo Disneyland Electrical Parade Dreamlights (which received an update during summer 2015). If you had to see only one show, make it this one. If the weather is not ideal, the show is unfortunately cancelled but you can enjoy a special show called “Nightfall Glow”, which is only shown during rainy weather. 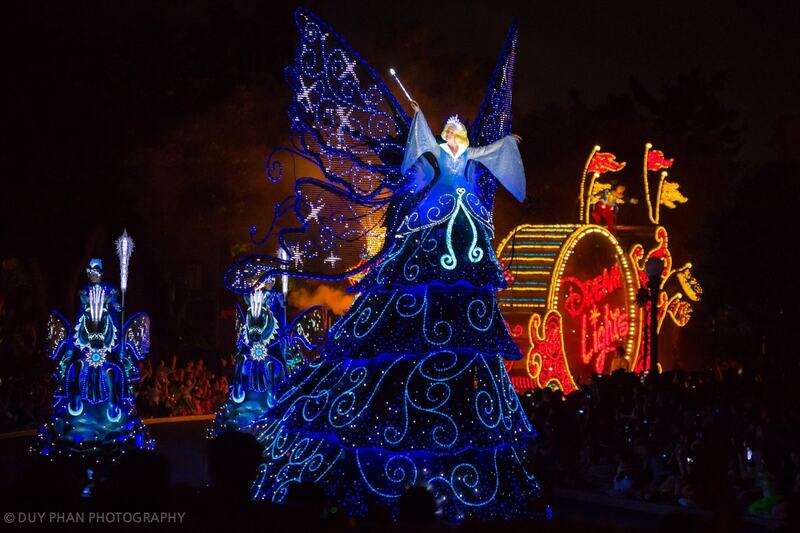 Tokyo Disneyland Electrical Parade Dreamlights! 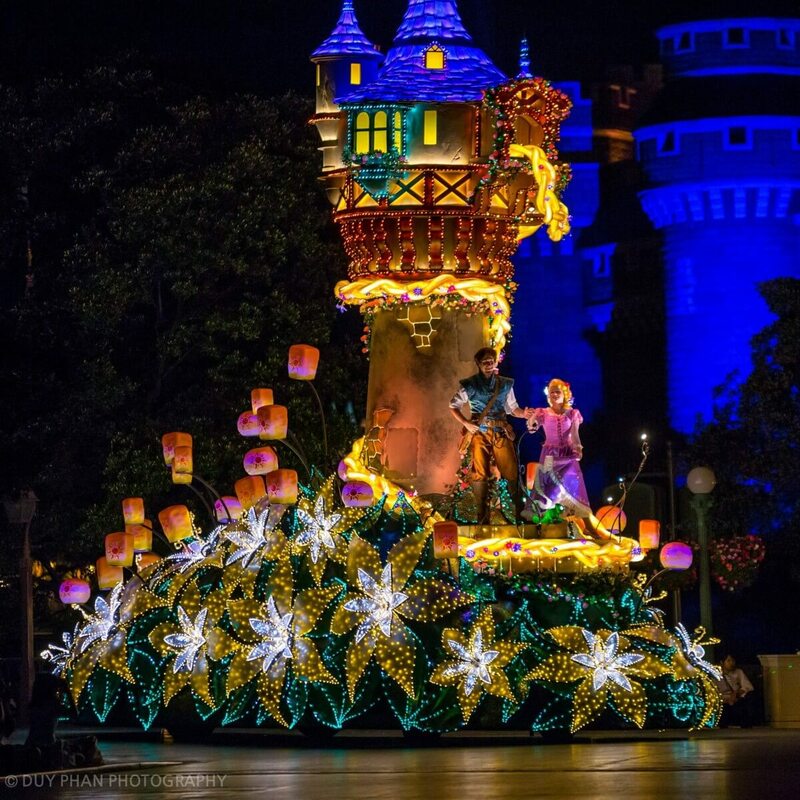 Tangled Float is possibly the best float in the entire parade! 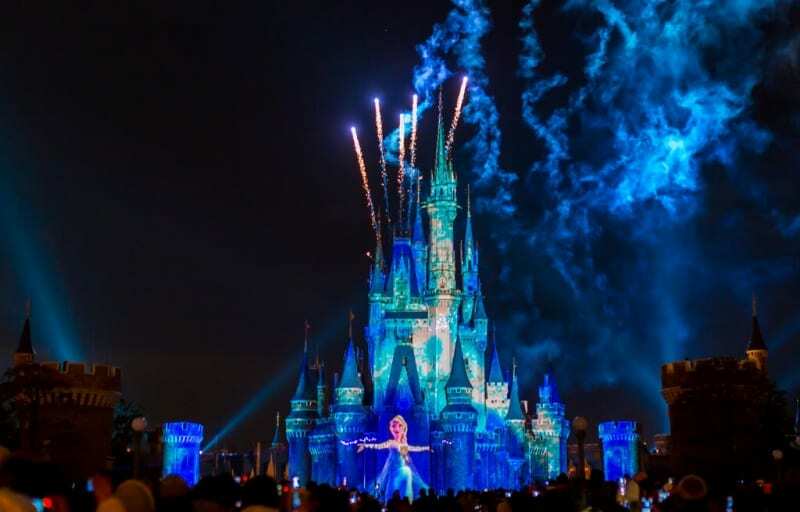 Once Upon A Time is a castle projection show that has Mrs. Potts and Chip narrating the show with “readings” from different Disney Fairytales. 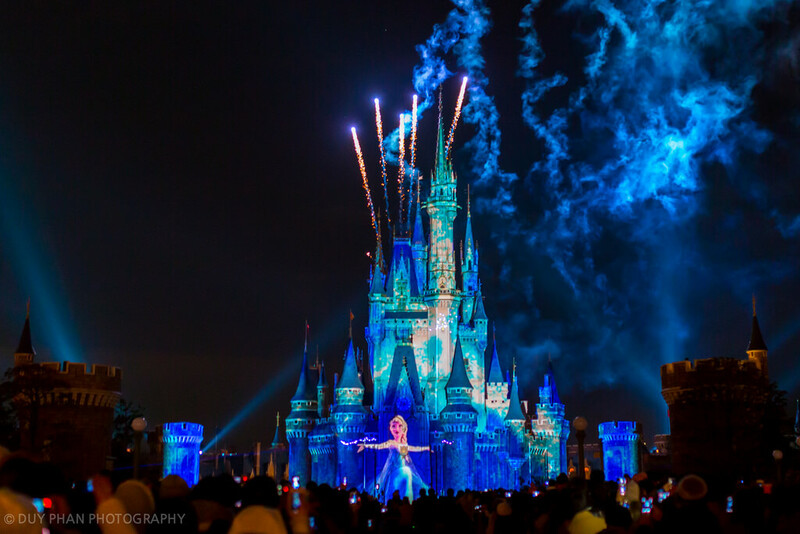 The show features lasers, fireworks, pyro, and of course projection. While most of the viewing area is first-come first-serve and standing room only, they do offer a Lottery System to have the chance to win a spot in the reserved seating area. Happiness on High is a short fireworks show over both Tokyo Disneyland and Tokyo DisneySea. The music and fireworks change. While this show is nothing special (compared to other performances in the park), it is fun to watch if you are outside. Since it is park wide, you do not have to wait in a specific area – just look to the sky! 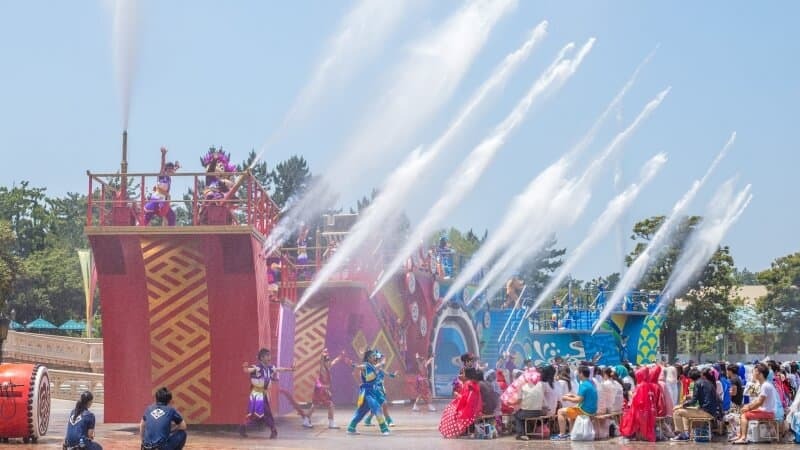 One Man’s Dream II is a stage show in Tomorrowland which is won by lottery (or standby). It features a variety of Disney Characters and catchy music. While this is not the best show at the park, if you are a big character fan then you don’t want to miss this. Minnie Oh! 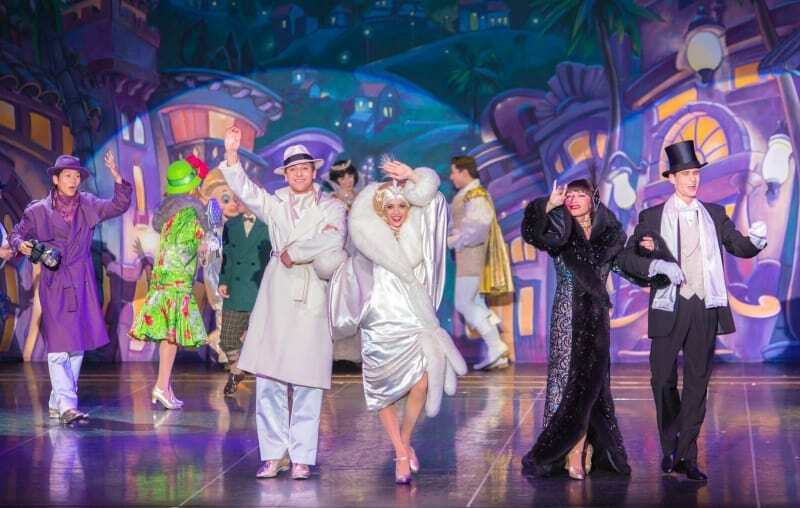 Minnie is a high energy latin themed stage show at the Theatre Orleans in Adventureland. Featuring the one and only Minnie Mouse and a bunch of her friends, this upbeat show is worth seeing if the wait is short. You simply line up and wait for the next show. Try showing up closer to showtime to cut your wait, but you may risk having the show full. Super-Duper Jumpin’ Time is stage show for small children at the Plaza Pavilion Bandstand in Westernland. This highly interactive show has small guests jumping and bouncing around with their favourite Disney Characters. Depending on the season, the theme of the show may change with different costumes too! Do you fancy having a meal with your show? Tokyo Disneyland offers both lunch and dinner shows. These need advanced reservations up to a month earlier. You cannot walk up. We have a full guide on how to make your reservation (since it is only in Japanese online). 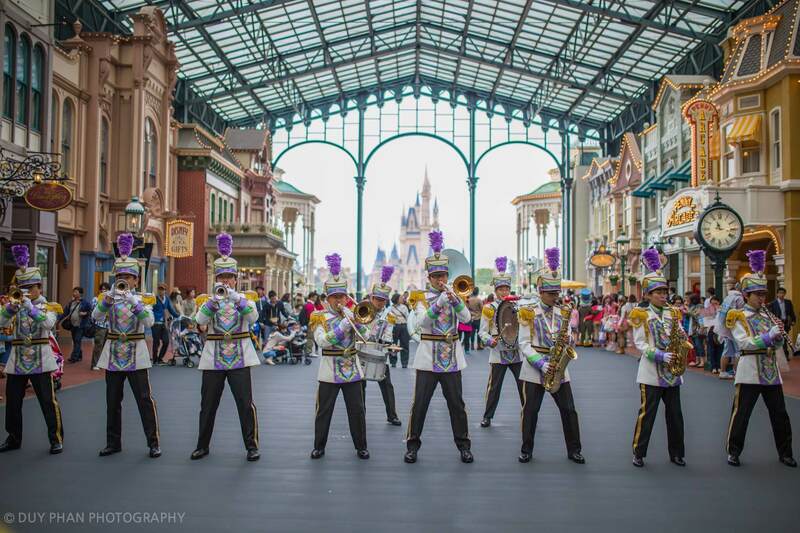 At the World Bazaar you can find the Tokyo Disneyland Band performing various Disney classics throughout the day. Along with the ever popular bicycle piano! Do not miss any of the seasonal parades, which run for a limited time! 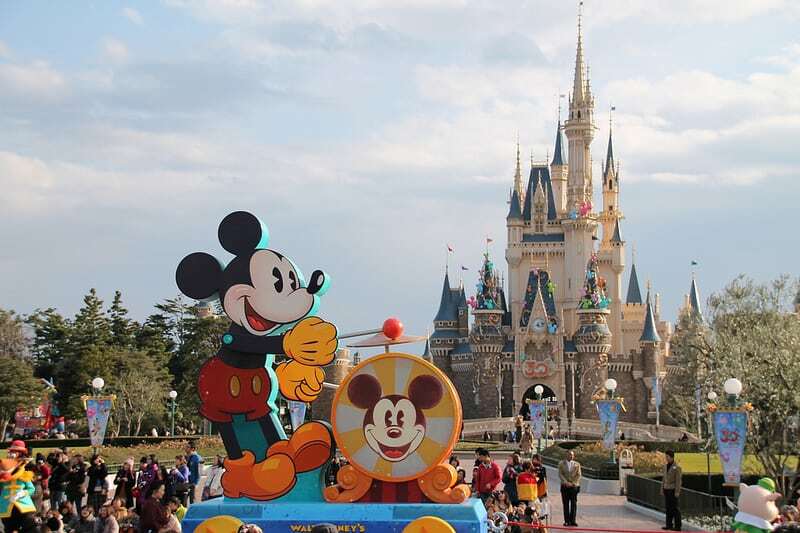 There is no shortage of entertainment options at Tokyo Disneyland. Pick up a park map for the latest show times and enjoy the show! 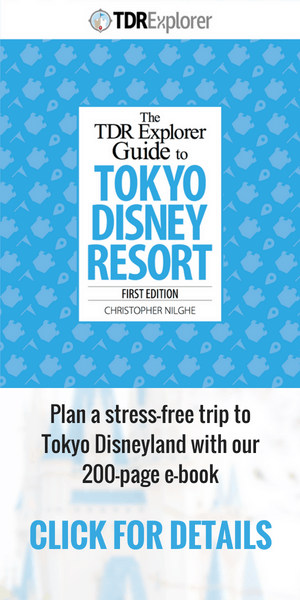 Keep up with the latest from Tokyo Disney Resort by subscribing to TDRExplorer and following us on Twitter & Facebook. Photos by Duy Phan Photography, unless otherwise stated. I can’t find the time schedule for the shows anywhere. Any tips? It is located on the Park Operation Calendar. 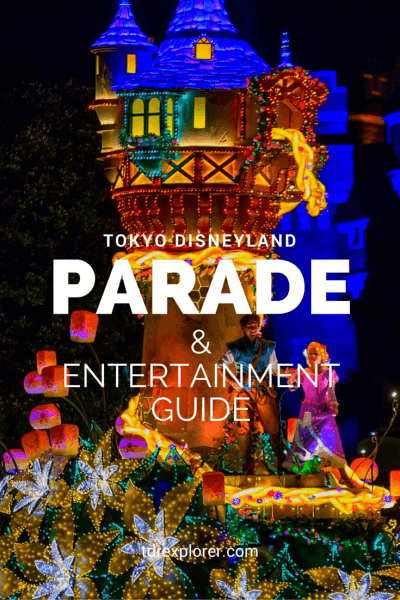 My partner and I are going to visit Tokyo Disneyland on April 2018, but the time schedule for the parades and shows are only available for December. Now we are struggling with the restaurant reservations. Do you recommend us to wait and check the timetable for the parades, or should we book the restaurants now? Do you have any strategic time for reserving a restaurant table?